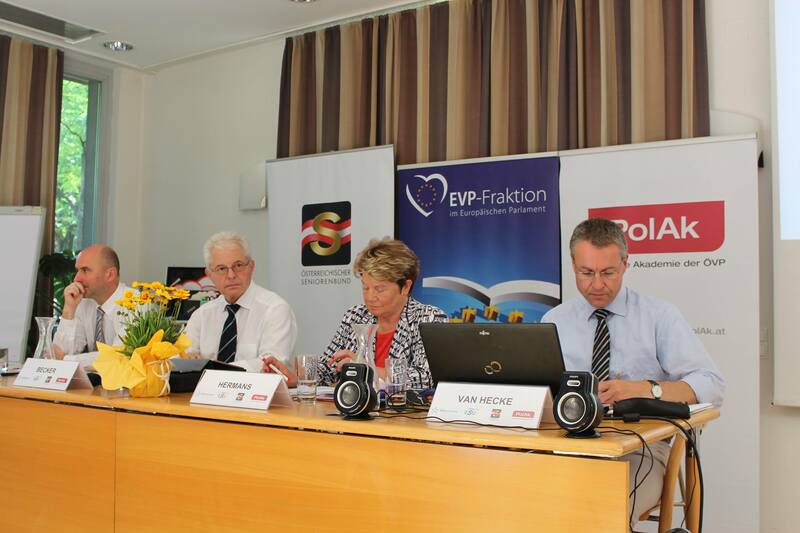 The Summer Academy for leading seniors (3-5 July 2015) organised in Vienna by the European Seniors’ Union (ESU), the Österreichischer Seniorenbund and the Politische Akademie der ÖVP (Polak) and supported by the Wilfried Martens Centre for European Studies and the European People’s Party (EPP), took place in one of the most eventful and dramatic periods in the history of the European Union. Almost one year after the European elections, internal and external tensions and threats should not endanger the future of the European integration process and the realisation of European values. Many of the 75 participants of the Summer Academy know very well the history of the European Union. Many have worked intensively on its construction and are prepared – even now – along with their fellow citizens, to make every effort to build the European society in peace, prosperity and democracy. They express their deep concern over recent developments, and ask the European People’s Party (EPP), European leaders, political leaders and all stakeholders in the economic, social and cultural life, to secure the future of Europe by giving priority to the welfare and the protection of European citizens. The conclusions and recommendations of the Summer Academy can be found below.